Income inequality has gotten so bad in America that it's now easier to get ahead in many other countries, says Nobel Prize-winning economist Joseph Stiglitz. Decades of deregulation and lowering taxes for the wealthy and businesses -- with the hope of it eventually benefiting the middle and working classes -- has created a chasm between the rich and everyone else, Stiglitz told CNNMoney. To get back to a more equal society, he suggests we take a page from some of our European neighbors and restore the balance between government, business and labor. "Maybe we should be calling the American Dream the Scandinavian Dream," he told CNNMoney. The Scandinavian countries changed their education systems, social policies and legal frameworks to create societies where there is a higher degree of mobility. That made their countries more into the land of opportunity that America once was. "The choices we made got us here and we must now choose a new path," Stiglitz said last month, when he released his 37-point prescription for restoring the American Dream. The report, titled "Rewriting the Rules of the American Economy," was issued by the Roosevelt Institute, a progressive think tank where he serves as chief economist. To restore balance, he says the U.S. must accomplish two things: taming the top 1% and growing the middle class. Clamp down on Wall Street and require certain asset managers to disclose their holdings, returns and fees. Enact a transaction tax to reduce short-term trading and encourage long-term investment. Require companies to provide more information about their CEO's pay relative to performance and workers' earnings. Raise taxes on capital gains and dividends. Tax corporations on global income. Invest in infrastructure for long-term economic and job growth. Invest in young children through early education. Require universal paid sick and family leave. 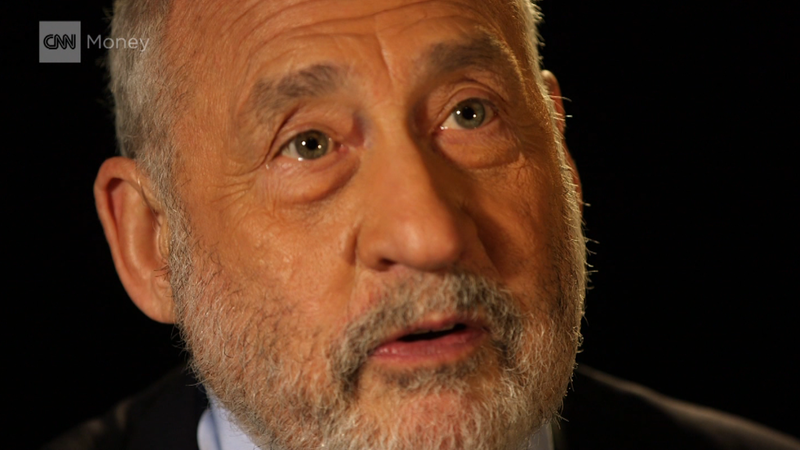 While Stiglitz acknowledges that it will take time to restore balance, he still advocates for an aggressive approach. "There are policies that can once again put the sought after, but increasingly unattainable middle-class lifestyle within the grasp of most Americans," he wrote in the report.